HONG KONG — Most Asian markets were listless Friday as investors awaited key U.S. job data that could influence the Fed's interest rate policy. 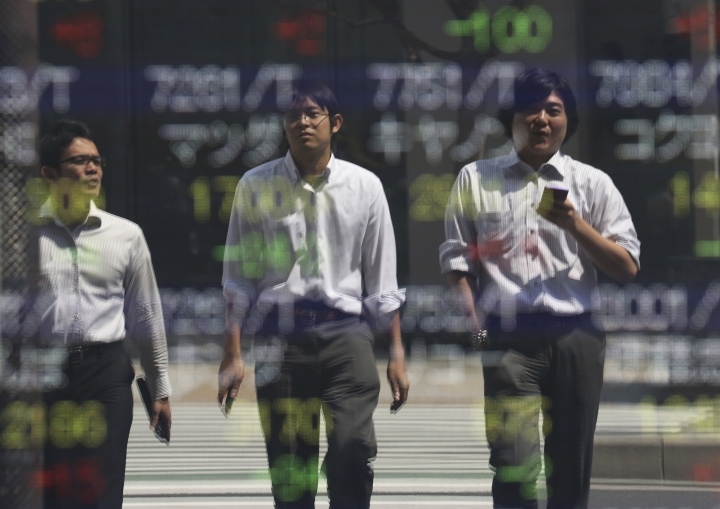 KEEPING SCORE: Japan's benchmark Nikkei 225 index dipped 0.4 percent to 16,853.57 while South Korea's Kospi edged up 0.2 percent to 2,036.82. Hong Kong's Hang Seng rose 0.4 percent to 23,254.69 and the Shanghai Composite Index in mainland China crept 0.1 percent higher to 3,065.52. Australia's S&P/ASX 200 lost 0.9 percent to 5,366.10. Benchmarks in Taiwan, Singapore, Thailand and New Zealand fell while indexes in the Philippines and Indonesia rose. U.S. ECONOMY: A report on U.S. jobs due out later Friday is likely to be the big market moving event of the day, though Asian investors won't get a chance to react until next week. Economists forecast that the nonfarm payroll report will show employers added 180,000 jobs in August, according to a survey by data provider FactSet. That would be under July's 255,000 extra jobs and 292,000 in June, which was an eight-month high. GLOBAL OUTLOOK: Investors are cautious after a round of manufacturing surveys Thursday sent mixed signals. A Chinese survey of purchasing managers found factory activity expanded at its fastest pace in 22 months, though it was barely above the no-change mark. The U.S. purchasing managers' index, meanwhile, contracted for the first time since February but British manufacturing rebounded on the pound's slump in the aftermath of the shock vote to leave the European Union. QUOTEWORTHY: "Payrolls. Payrolls. Paaaayroooollls. Did I mention payrolls? It's blindingly obvious what market attention will be focused on today," Michael Ivery, head of Asia-Pacific research at Rabobank, wrote in a note to clients. "The importance of that U.S. employment print today can't be overstated," he added, noting that the poor U.S. factory reading sent the dollar lower. G-20 WORLD LEADERS: Leaders of the U.S., China and other big Group of 20 economies are attending a two-day meeting this weekend, with the global economy expected to be one of the main discussion topics. China, the G-20 meeting's host, has made trade a major theme of the meeting while other governments also want to tackle climate change, cutting excess capacity in in steel and limits on use of tax havens. WALL STREET: U.S. stocks ended little changed. The Dow Jones Industrial Average rose 0.1 percent to 18,419.30 and the Standard & Poor's 500 index was practically unchanged at 2,170.86. The Nasdaq composite gained 0.3 percent to 5,227.21. ENERGY: U.S. benchmark crude oil futures rose 23 cents to $43.39 a barrel in electronic trading on the New York Mercantile Exchange. The contract gave up $1.54, or 3.4 percent, to settle at $43.16 a barrel on Thursday. Brent crude, the benchmark for international oil prices, added 24 cents to $45.69 a barrel in London. 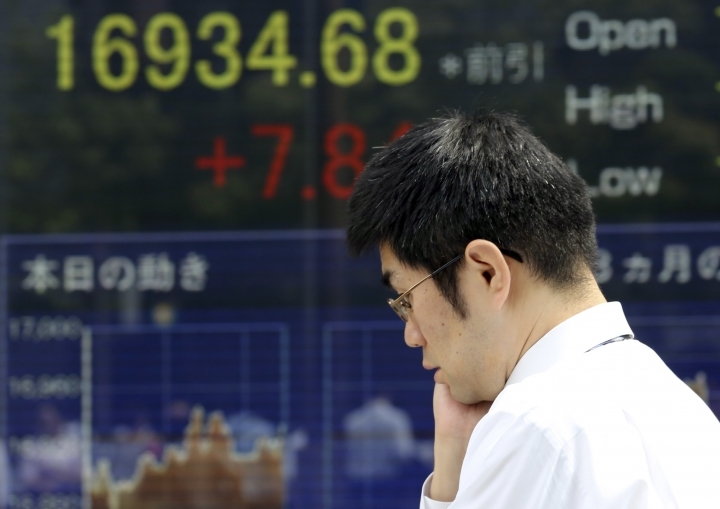 CURRENCIES: The dollar strengthened to 103.31 yen from 103.26 yen in late trading Thursday. The euro rose to $1.1202 from $1.1195.